Hmmm. This is a little hard to read. I probably need to rescan the original "paper" document. 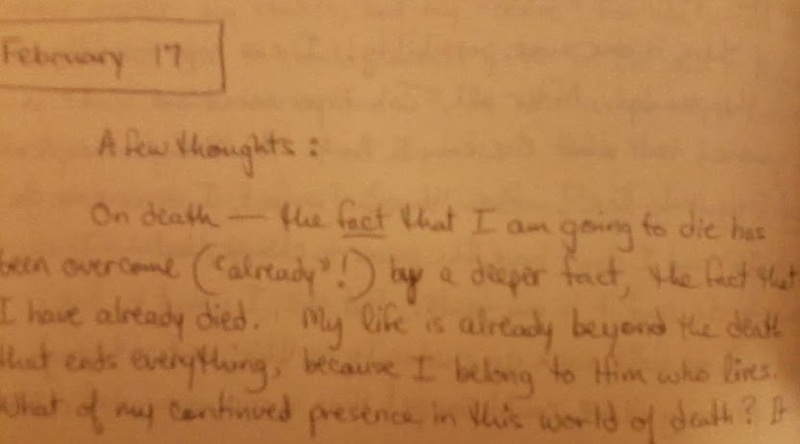 "The fact that I am going to die has been overcome by a deeper fact: that I have already died." Still, I remain in the world because of mission, because I have been "sent" to others, to witness this truth to them. I also note a few things here about a course I was taking on the Orthodox church, taught by an Orthodox priest. I had already begun to experience the division as a deeply personal pain. 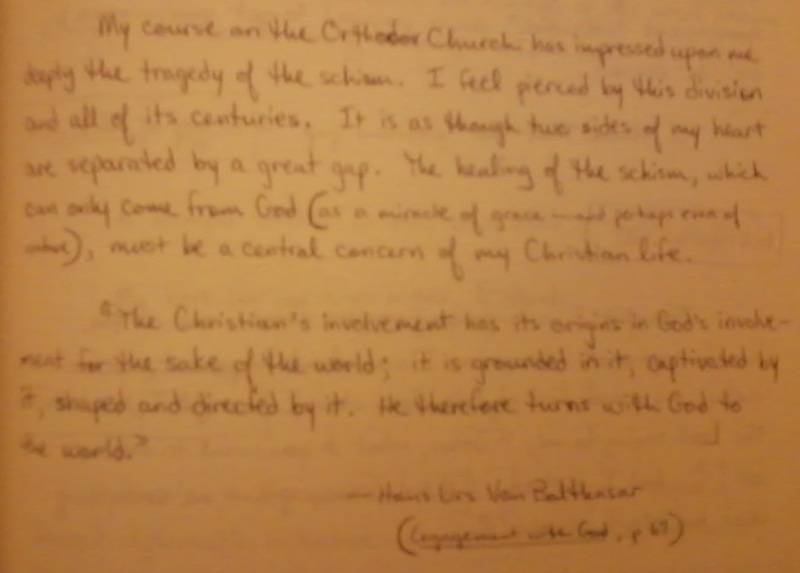 The quotation at the end is from Von Balthasar's Engagement with God, p. 69.